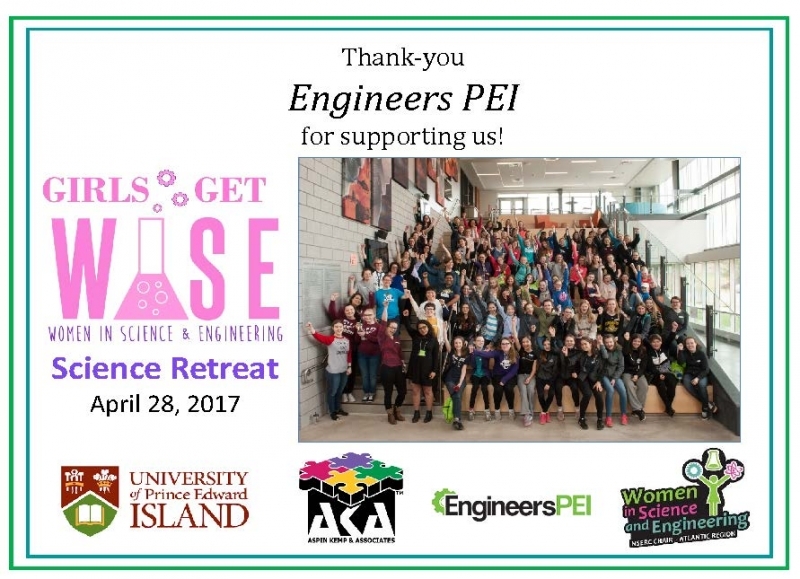 The 4th Annual Girls Get WISE Science Retreat took place on Friday, April 28th. There were 74 junior high girls participating, and the first one hosted in our new School of Sustainable Design Engineering building. As part of the day on April 28, these girls met with several women engineers from Engineers PEI to learn more about Engineering as a career path. Engineers PEI was one of the sponsors of the event.